Commonly parents/ carers will seek advice and input from a Child and Educational Psychologist when there are concerns about a young person’s progress and/or development. Psychologists are well placed to provide specialist assessments and advice to ensure that the difficulties are correctly identified and subsequently planned for. Direct work with children and young people includes assessing their learning and emotional needs using methods such as interviews, observation and specfic materials. Interventions and strategies are then developed and planned to support the child or young person. The length of time an assessment will take is dependent upon a child or young person’s needs. 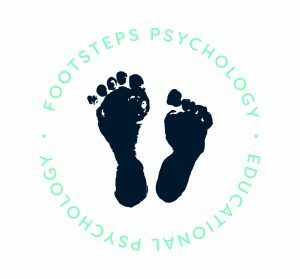 Footsteps psychology firmly believe that to ensure accurate assessment and intervention for children and young people, working in partnership with both the school and parents/ carers is essential. What this means in practice is that Footsteps psychology will speak with both the parent(s) and school prior to the assessment process and then will ensure that parents and school are aware of the outcomes and the necessary next steps. When commissioning Footsteps Psychology you can expect a professional service and a thorough and detailed understanding of your child’s needs, strengths and plan of action. We work in partnership with parents/ carers to plan the work around the concerns identfied. A plan will be agreed in partnership with the parents/ carers which is tailored to the needs of the young person.